UNDERWORDS is happy to announce that we will begin accepting submissions for our new anthology Futuredaze: An Anthology of YA Science Fiction, edited by Hannah Strom-Martin and Erin Underwood, which will be published in June 2013. Submissions for the anthology will open on May 1, 2012 and will close when filled. Futuredaze will feature fiction and poetry that sparks the imagination, twists the heart, and makes us yearn for the possibilities of a world yet to come. At a time when every other YA book features vampires, werewolves or other fantastical creatures (which we love! 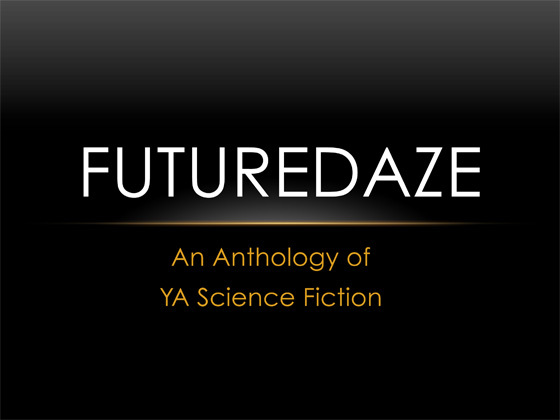 ), Futuredaze will be an anthology for the next generation of science fiction readers. We’re looking for hard science fiction, soft science fiction, and everything in between. Think Jules Verne, Isaac Asimov, George Orwell or Ray Bradbury with a YA focus. You can find the submission guidelines under the Publications link above or you can access them directly by clicking here. This entry was posted in Books and Literature, Futuredaze, Publications, Science Fiction, Signal Boost, Young Adult Literature and tagged Anthology, Science fiction. Bookmark the permalink.